De-tangling the hairs is now become the most tiring work for you. Your comb is filled with the torn strands of the hairs. You’ve been implemented too many remedies till now. Does it sound like you? Are you experiencing the multiple problems related to your hairs? Well, we’ve got an idea to make your hairs shiny, healthy and beautiful. You often use honey to make the food more tasty and delicious. But, do you know that honey can do wonders on your hairs? Honey has been used for the domestic as well as therapeutic purposes for many years. Whenever, you experience the sore throat, your grandmother may suggest you to swallow the warm 1 tbsp of honey with some black pepper sprinkled over it. Honey is the incredible ingredient to blow the life in your dead, unhealthy and unattractive hairs. In other words, the honey is the multitude of the benefits. You won’t get any side-effects while using it. Also, it is cost-effective and economical too. By replacing the organic products with the expensive cosmetic ones, you’ll surely save money as well. Other than having the impeccable advantages for the hairs, honey is also widely used for bringing out the natural glow of your skin. So, honey is a worthy ingredient and it must be used regularly. How the honey can help us for making our hairs smoother and stronger, let’s discover. 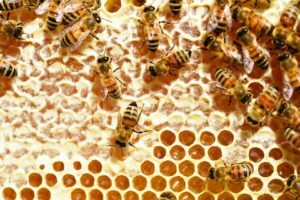 Why honey should be considered than other products? 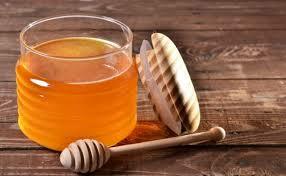 Being loaded with the antioxidants, honey can be the biggest aid for those having the dry and damaged hairs. Along with containing the 80% sugar, honey is also packed with the iron, calcium, Vitamin B, phosphorus, Vitamin C and magnesium. All those nutrients have a positive effect on the hairs. Honey is a natural softener leaving the conditioning effect to your hairs. However, honey is also responsible for improving the healing process. Also, it has the hemectant property to prevent the rapid loss of moisture, but on the other end, it has a higher quantity of sugar as well, helping to retain the significant moisture to the scalp. This balance leads to the strengthening of the hairs and the prevention of the hair loss. Because honey is also popular due to the antibacterial and antiseptic properties, it can also prevent the scalp problems, including, dandruff and psoriases. Additionally, itchy and scaly scalp can be soothed with the help of the frequent application of the honey mask. If you’re more prone to any scalp diseases, try to massage your hairs with the honey. It nourishes the hair scalp with the essential minerals and vitamins to boost the hair growth automatically. Don’t you think that honey is the true blessing for us? 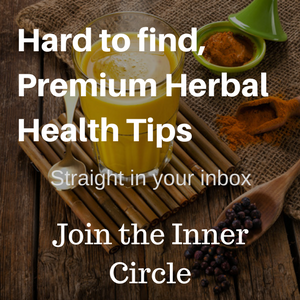 Hence, instead of preferring the cosmetic products and different hair treatments, you should use honey to get the hairs that you actually want to. How to use honey for hairs? After knowing the miraculous benefits of the hairs, are you curious to know about how to make products by using honey at home? 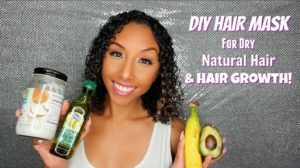 So, don’t wait anymore and scroll down to get the recipes for getting beautiful hairs. No extra ingredient is needed or added, all you want is the honey. Blend ¼ tbsp of the raw honey in the 1 cup of water. Mix them very well. Then apply this solution on your hairs for about 30 minutes. Then, rinse it with the warm water and see the magic!!! However, you can add more honey in the water, if you’ve long and thick hairs. You can use this paste instead of the shampoo as well. Surely, it’ll bring out the best results. The addition of the apple cider vinegar can boost the natural shine to your hairs. Do you ever heard about 2 in 1 hair product? Well, when you read closely the label of the product, it is clearly written that it is the shampoo as well as conditioner. Don’t you want to make the same product at home with ultimate benefits? Honey with apple cider vinegar can work as the shampoo besides with the conditioner. Blend the ½ cup of organic raw honey in the 10 tbsp of the apple cider vinegar. After mixing, apply this paste on your hairs. Let it sit for about the 15 minutes. Then, wash your hairs with the warm water. Try to repeat this remedy for about 3 times in a week. Rather, the olive oil is splashed over the salad or used for treating any ailment; the olive oil is like the king of all the essential oils. Since, honey is the hair-loving ingredient, the mixture of the honey and olive oil will optimally nourish the scalp and the hairs, making the hairs more appealing. Take the olive oil and honey in the same quantity. Let’s say, we’re taking the honey and the olive oil about ½ cups each. Make a smooth, thick paste. Warm this paste if you want the soothing effect as well. Before shampooing the hairs, apply this wonderful blend for 15 minutes. Make sure that you’ve massaged every inch of your scalp. While applying the shampoo, remove this paste. Repeat this procedure for about two to three times in a week. Also, it’s highly recommended for the dry and damaged hairs. When it is about the coconut oil, it’s difficult to mention any one of the advantages. Not only, the coconut oil is good for your heart, skin and brain cells, in fact, it can improve the hair’s condition too. After combining the ½ cup of coconut oil with the 3 tablespoons of the warmed coconut oil, apply this paste as same as you apply the shampoo. Leave it for a while. And then just wash with the water!!! 1. Add little amount of honey in your shampoo or even conditioner. This will amplify the product’s effects. 2. Just simply say no to the harsh hair treatments. 3. Prefer raw honey than other available options. 4. Warm the paste a bit before applying.